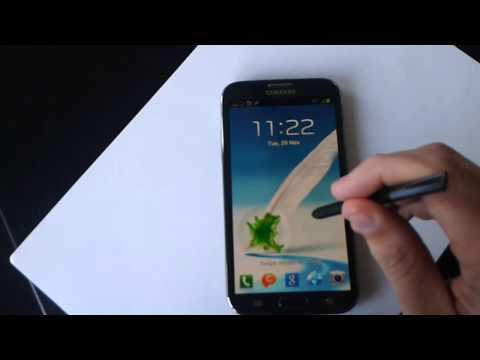 Can’t wait for Samsung to release the latest Android 4.2 for your Galaxy Note II device? Well, it looks like you’re just going to have to wait a little longer because like the company is currently working on an Android 4.1.2 instead. The latest N7100XXDLJ2 Android 4.1.2 Jelly Bean test firmware for the Note II has recently been leaked out and I suppose on top of the usual bug fixes and performance improvements, it comes with several new features and changes. One of the most obvious additions is an “Ink Effect” on the lock screen. It’s nothing significant or ground breaking, but it offers a new effect for when you unlock the device using the S Pen. According to Sam Mobile, Android 4.1.2 for Note II also brings new additions in Notification Toggles that can be customized. Brightness slider in the Notification Panel can also be disabled, saving you previous space. Other changes include the ability to disable Multi View, faster and more responsive browser, status bar changed from grey to black, and new group cast application. Check out the ink effect in the video below or visit SamMobile for screenshots of what’s to come and maybe try (at your own risk) out the pre-release ROM for yourself.